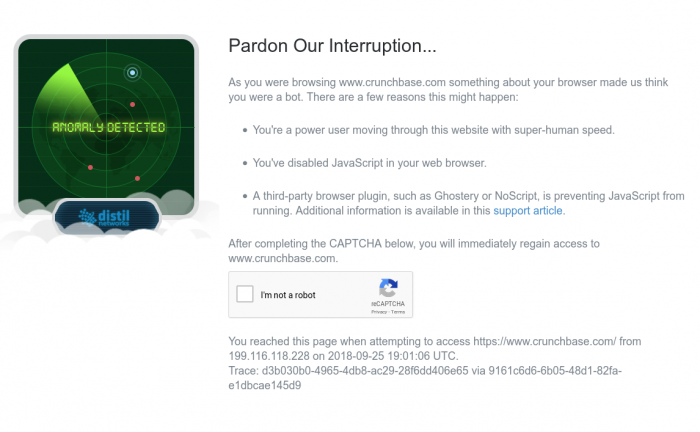 Honey, I broke the internet! – Speed up browsing – ads slows down page loading significantly. Early on adblocking didn’t happen in the browser, but was an add-on for a proxy server. I always run my own somewhere on the internet or at home. Life is much simpler now with browser extensions doing the work. I do remember that using an adbocker often broke the internet. It was certainly not for the faint of heart. It took perseverance to keep using them and live with the “broken” internet. The filters at the time weren’t as sophisticated as we have today. Also browser extension have much better context of the content where as the proxy server had no such context – it just analyzed network requests. You can imagine that not always went down that well at home. It certainly didn’t support the “wife factor” well. Even though adblocking no longer breaks my internet, VPNs break it today. I use a VPN to get into the internet regardless of my location. ISPs routinely sell your browsing behavior or mess with your DNS to inject their own search results. It’s like the phone company routinely selling the numbers you’re calling or texting with. I don’t want that. Yesterday, I ran into two of those issues I common encounter when using a VPN. First, Google thought I was in the “United Kingdom” even though my VPN endpoint is located in the US. Second – and I get these a lot – is that some service thinks I’m a bot because my VPN endpoint is not an ISP-owned IP-address. 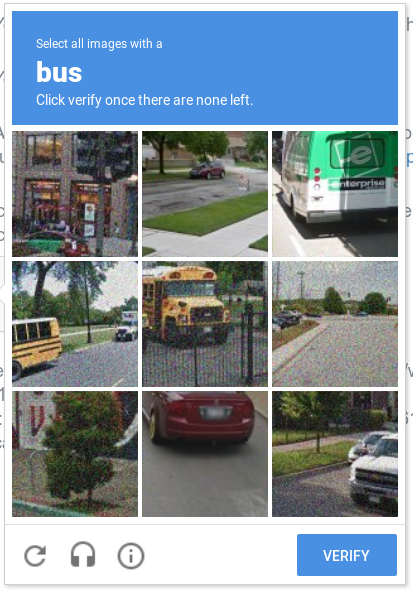 Google’s version of the bot protection makes solve silly puzzles to improve their automatic driving object recognition software. I got that again when I was changing my credit card on FreshDirect. Unfortunately I don’t think anyone ever tested that at FreshDirect because I was unable to complete the form after the finishing puzzling for Google. I ended up using the app to fix it. Another issue is the streaming services like Netflix, Prime Video, Hulu, etc. To avoid people spoofing their location, they don’t allow VPN-based streaming of their content. The whole thing is just silly. I wish they were more like Apple who just uses the payment method to determine someone’s location, but I digress. I do value my privacy more than a perfect working internet – I do hope this gets solved. Meanwhile I’ll keep helping Google/Waymo by solving their puzzles.